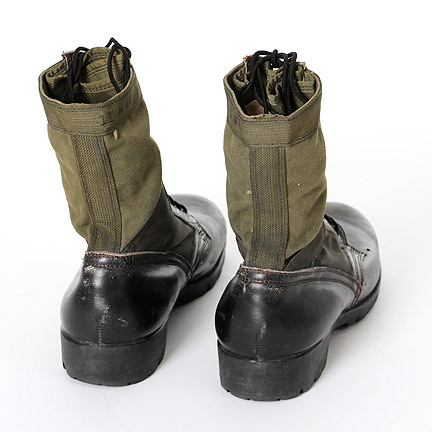 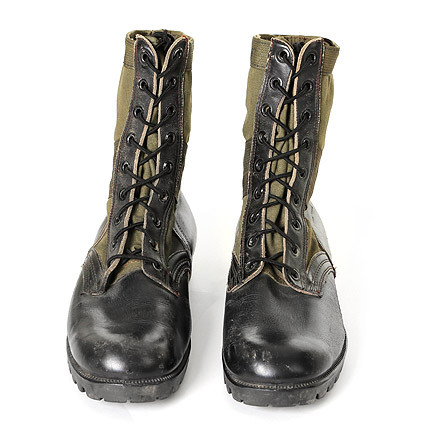 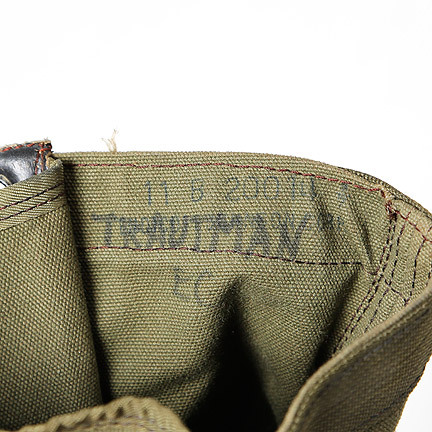 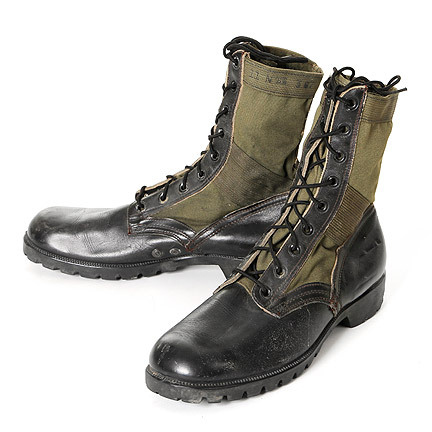 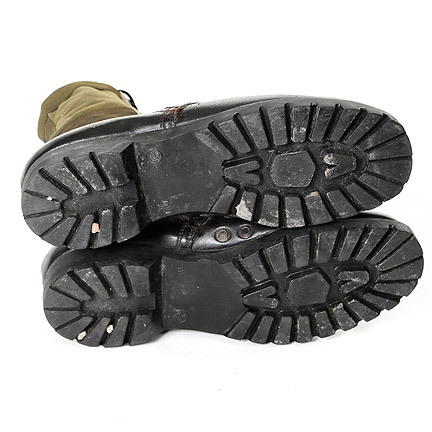 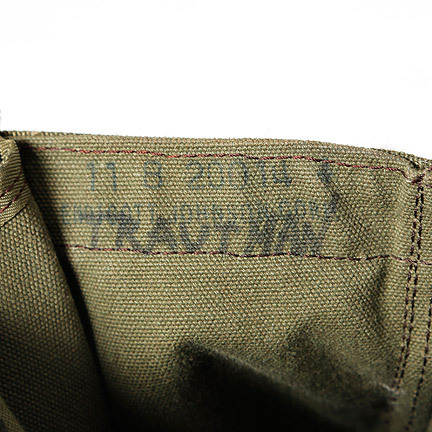 These combat boots were worn by the character “Colonel Samuel Trautman” portrayed by actor Richard Crenna in the 1985 motion picture “Rambo: First Blood Part II,” starring Sylvester Stallone. 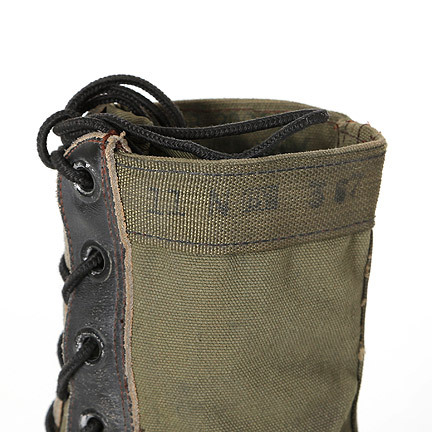 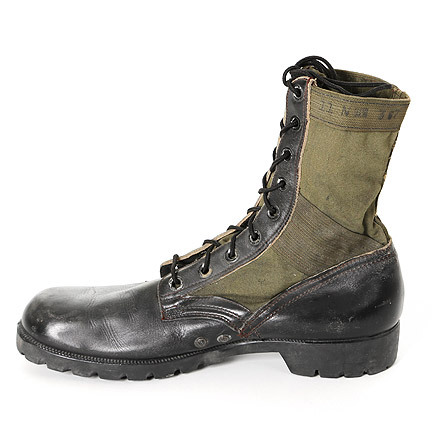 These Vietnam era lace-up jungle boots are dated 1967, third pattern, OD green cotton and black leather, size 11 narrow, with Ro-Search brand "Vibram" type sole, "March 1967" clearly stamped on exterior boot cuff, original period brown stitching throughout construction of boot, "Endicott Johnson Corp" Man & "11 B 20014" is stamped inside of the boot cuffs, seam stitch on lower rear of heels indicate Vietnam era manufacture, included original mesh insoles with "do not boil" on them, and "Trautman" handwritten in both boots. 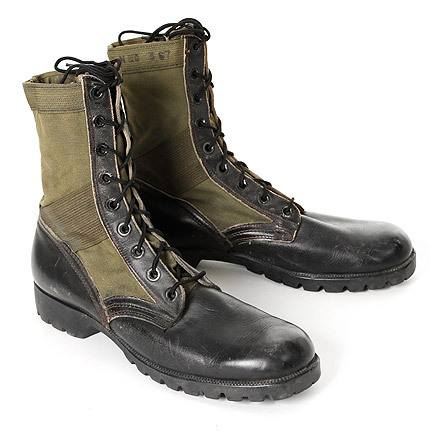 Mr. Crenna wore these boots in the final scene when he asks "Rambo" (Sylvester Stallone) “What do you want?” Rambo responds, “I want what they want... And every other guy who came over here that spilled his guts and gave everything he had wants… for our country to love us as much as we love it… That’s what I want,” and then walks away. 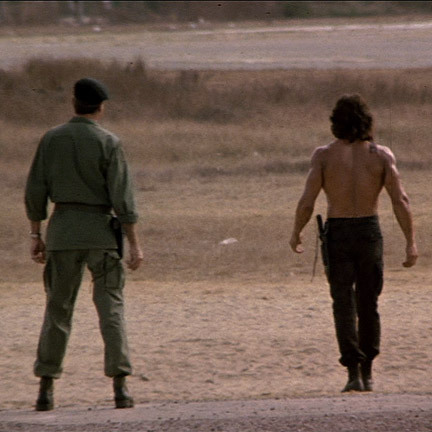 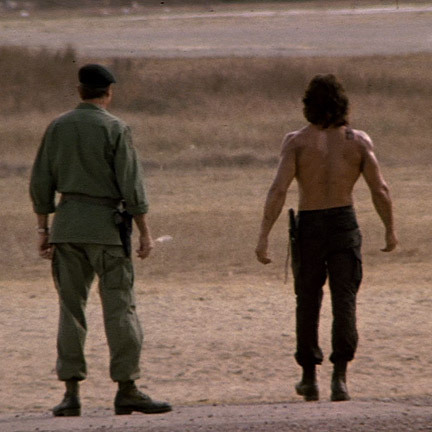 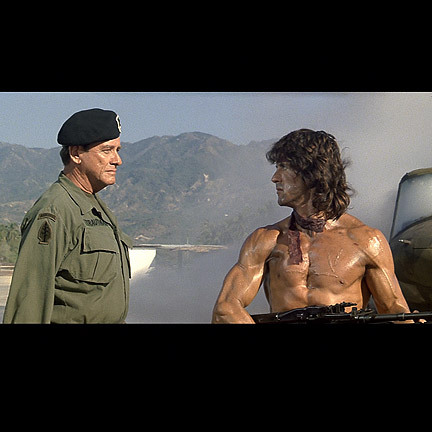 “Rambo: First Blood Part II,” revolves around Rambo taking a top-secret covert mission from Col. Trautman that releases him from prison if he goes to the jungles of Vietnam and rescue the American prisoners of war.